It's here! The online download for Phresh Start Magazine. 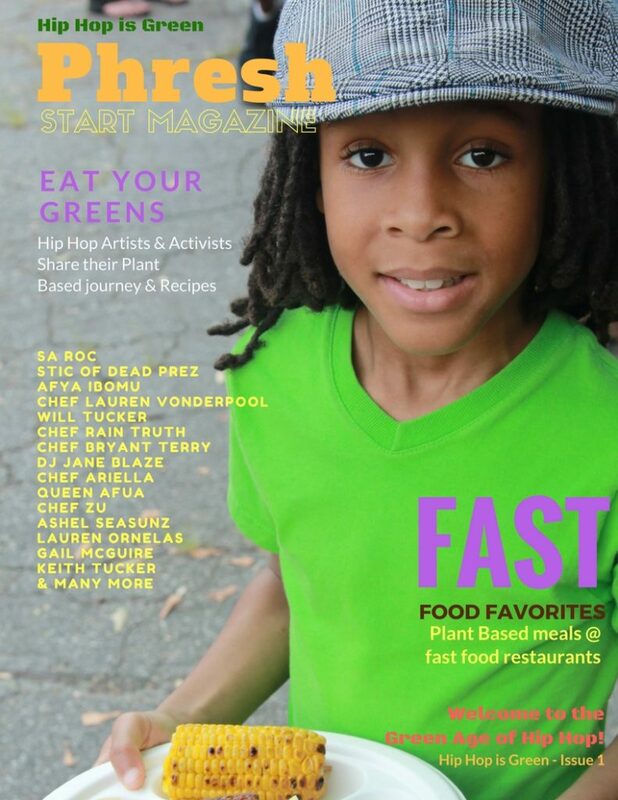 Order your copy of Presh Start Magazine now! Click picture for purchase and download. 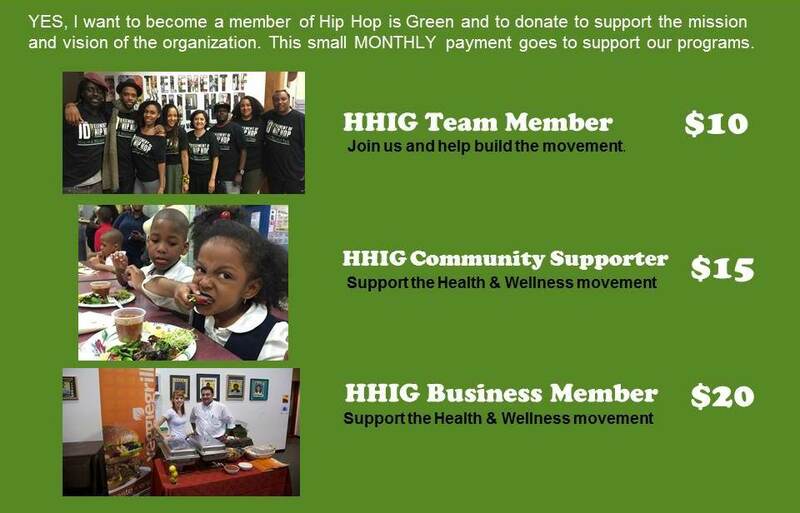 In these times when preventable illness, like childhood, type 2 diabetes, are affecting our underprivileged youth at staggering, disproportionate rates, we know your dollars will help. And, when these same children are finding it difficult to achieve in school partly due to nutritional deficits, the information and confidence they gain from these events can change the trajectory of their lives. Whether youth choose to actually eat those greens like kale and spinach instead of salt, fat and sugar or not, we know you appreciate helping them having the knowledge to make the right choice. So please consider making as large of a gift as you can. 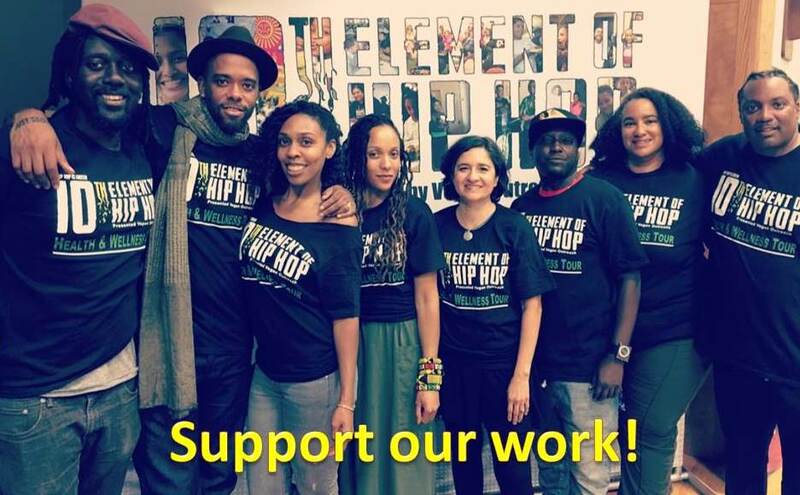 A typical Hip Hop Green Dinner, with all its education, celebrity, and of course, healthy food, supporting at least 250 students cost us at an average of $50 per student. We are very grateful when generous people and sponsors step up. Your support will change a child’s life and we sincerely appreciate your generous donation.